The first real autofill bulb push button dropper on the market.. 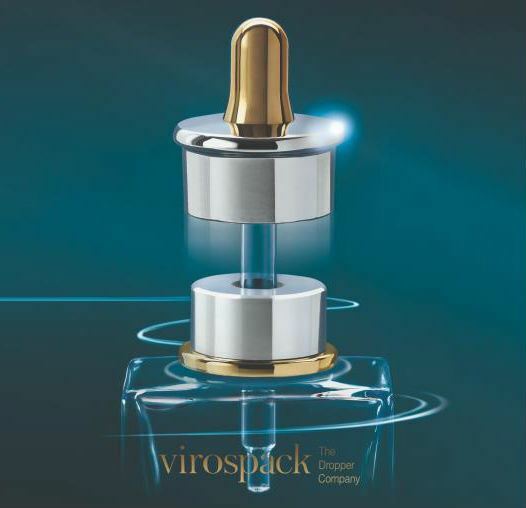 It is an innovative dispenser dropper with a bulb component that has an automatic system. Available with plastic or metal shell bodies and nitrile or butyl rubber bulb. Precise formula in-take and premium closure control thanks to its high-tech autofill mechanism. Large range of standard models & neck fittings highly customisable. 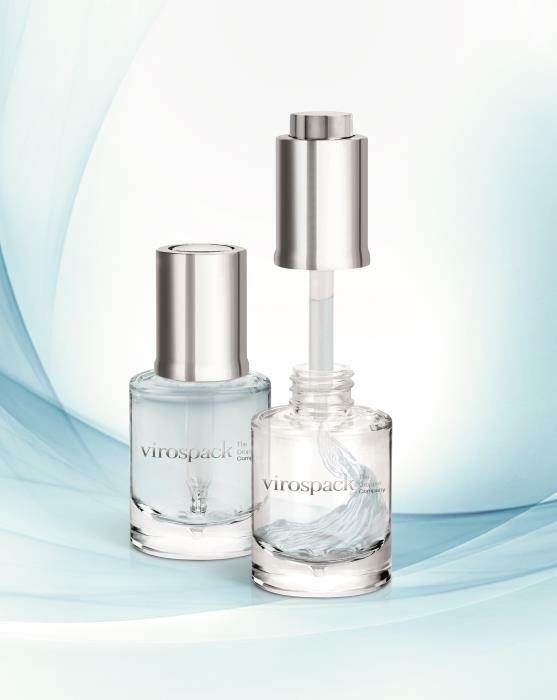 Ideal for liquid and fluid solutions (serum and lotion treatments, oils, liquid foundation...). Added value to packaging, precise application for highly concentrated products, pharmaceutical connotations,... 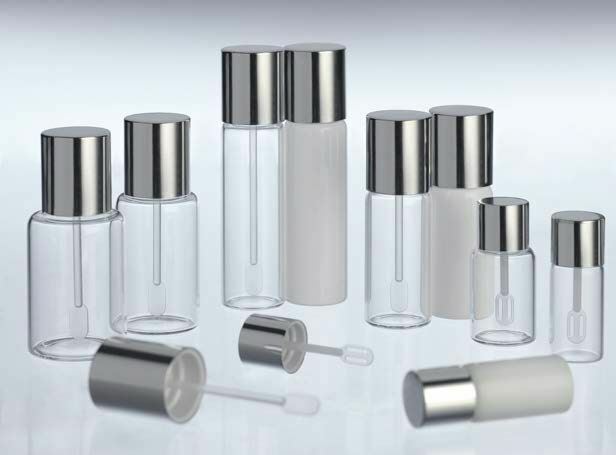 Possibility of complete packs with our tubular glass vials, metal shell bottles and moulded bottles. Powder/liquid and liquid/liquid dispensing system for two-component extemporary products. Ideal for presentation box displaying or selective treatment range. The Magnetic Dropper is a barrier-breaking concept in packaging - from technical, marketing and usage points of view. Comprised of two pieces, a dropper and a clip on bezel that fits all FEA15 vials on the market this dropper brings together innovation and adaptation. Both components can be decorated using different techniques in order to create a personalized dropper. The two visible pieces - the aluminium cover and the plastic collar drainer - can be metallized or colour injected, responding to brand desires. High quality pack with extra weight insert of 18.5g. Custom bottle height available for large production runs. Custom window in metal shell to view the product inside (with tooling costs). Decoration possible on bottle and dropper metal shells. Wiper optional. Wide range of complete dropper packs with moulded glass bottles in two lines: Wide and Slim. These two formats are high quality and heavy weight, given by the thick glass botton of the bottle. 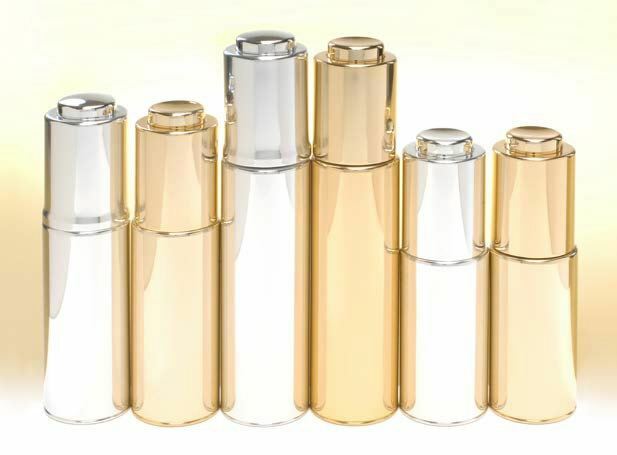 The Slim model is avalaible in 30ml and 15ml. The Wide version with 30ml of capacity, has a “last drop” finish. Both models are compatible with a broad range of droppers, classic and push button in a 20/410 neck thread. Also available with a wiper. Highly customisable with our in-house decoration techniques. Large range of standard models & neck fittings hightly customisable. 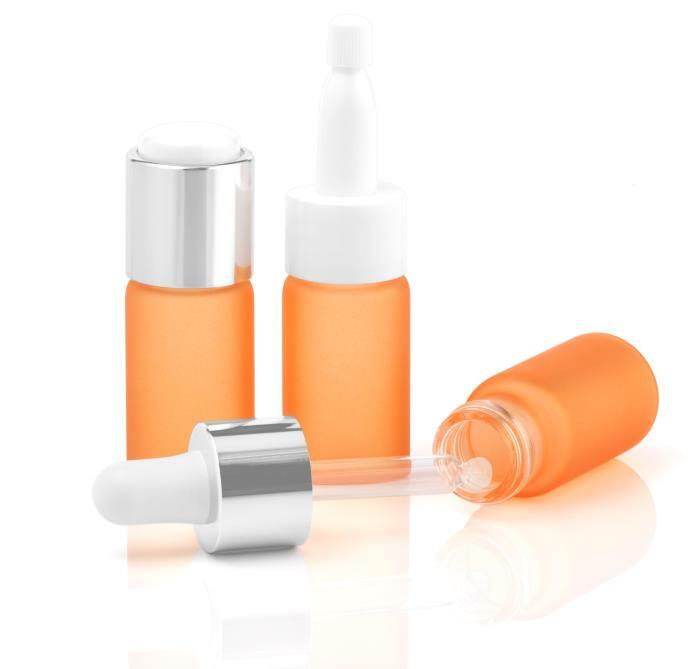 Ideal for liquid and fluid solutions (treatment serum and lotion treatments, oils, liquid foundation...) Added value to packaging, sophisticated design, precise application for highly concentrated products. Possibility of complete packs with our tubular glass vials, metal shell bottles and molded bottles. Range of standard spatula packs highly customisable with capacity from 3ml to 20ml. Ideal for creamy and thick solutions, gels, makeup, thick serums, creams... 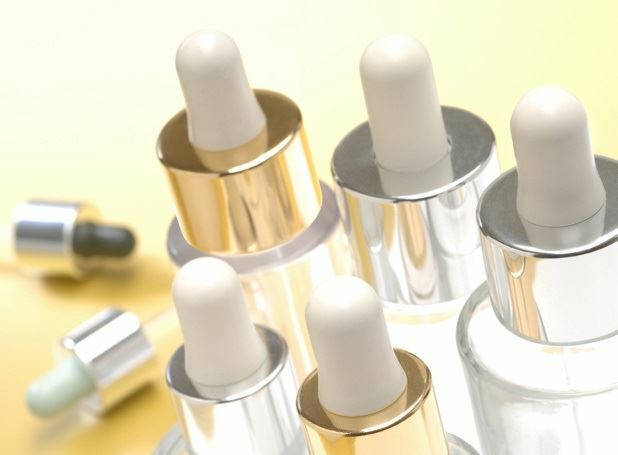 Practical packaging, easy to apply, for sample or testers on counters, or for the application of skin treatments. Service caps, standards and possibility of custom designs. 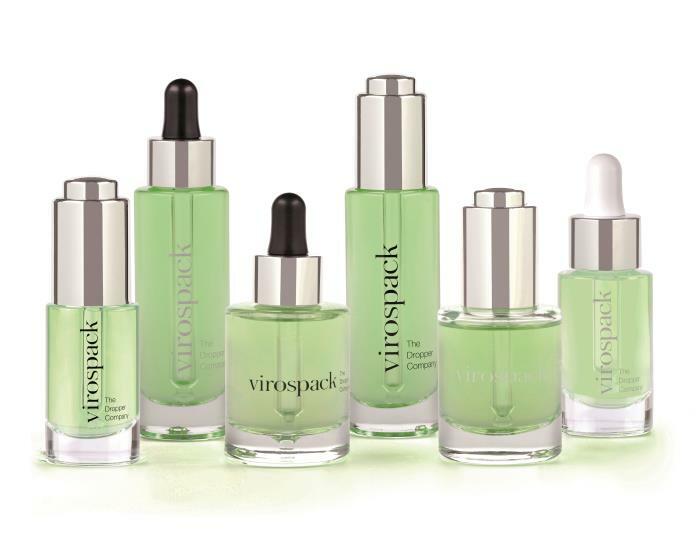 Large range of standard vials from 2ml to 30ml with more than 160 posibilities of complete packs. 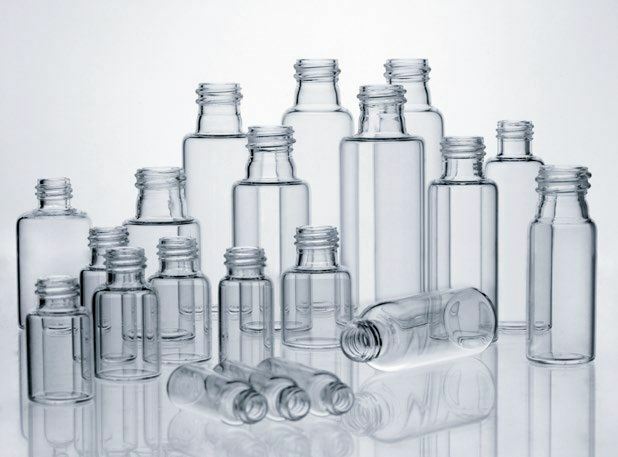 Class 1 tubular glass offers a high strengh-to-weight ratio as well as excellent transparency and its complete neutrality makes it a perfect packaging solution. Tubular glass allows custom sizes without any investment in moulding. Highly customizable with our in-house decoration processes.